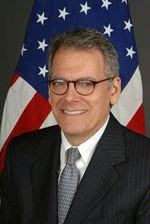 The State Department this week announced that it is offering $18 million for Internet freedom programs around the world. Organizations hoping to land a contract may focus proposals on any region or country, including Cuba. Grants will range from $500,000 to $2.5 million. The deadline is July 1. Development of new technologies for defeating censorship, for maintaining availability of information, and for alternative network infrastructures. IG: Interests Section not perfect, but "performs well"
During the fall of 2013, a nine-person team from the State Department's Office of Inspector General visited the U.S. Interests Section in Havana. Investigate potential fire, security and structural hazards in the Interests Section's annex building. File cabinets on the building's second floor threaten the structural integrity of the building, the IG said. Upgrade their 62-vehicle motor pool. Some employees drive "damaged, unsightly and possibly unsafe" vehicles. The IG stated, "One vehicle is missing interior door panels and its gear shift knob. In Cuba, diplomatic vehicles can be sold only to other diplomatic missions. No mission has expressed interest in purchasing USINT’s unserviceable vehicles." Establish controls to track phone use in the annex building. The monthly bill averages $5,000, but no mechanism is in place to record who makes each call. Investigate whether 370 local hires could be considered federal employees who would be eligible for additional benefits. 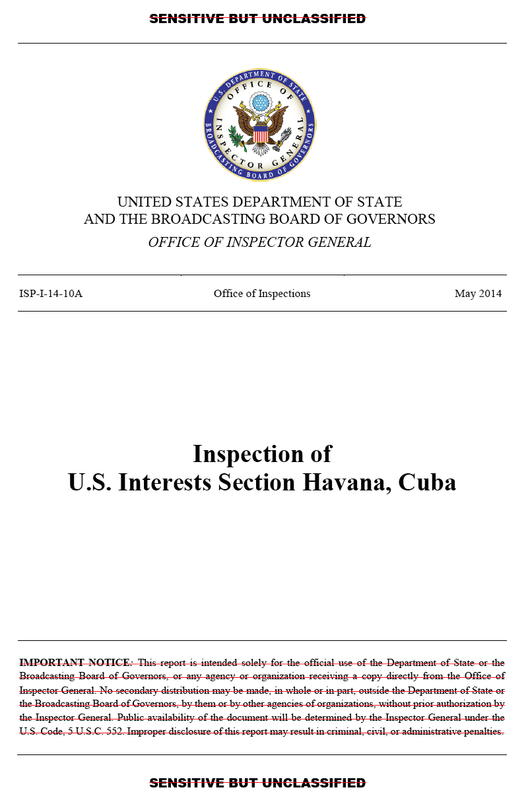 Already, the Interests Section has requested that the State Department reinstate a visa program to give special immigrant status to Cubans hired to work at the Interests Section. The IG report also notes that the Interests Section has "excess currency," but details about the matter are censored. Career diplomat Jeffrey DeLaurentis will get the chance to respond to the IG recommendations. He has been named the new chief of the U.S. Interests Section and is expected to begin the job this summer, according to Café Fuerte. DeLaurentis, who has twice been assigned to the Interests Section as chief of economic and political affairs, will replace John Caulfield. Caulfield has led the Interests Section since 2011. He is scheduled to leave in July, Café Fuerte said.